Banana bread is stodgy, comforting and best served warm from the oven slathered with butter. 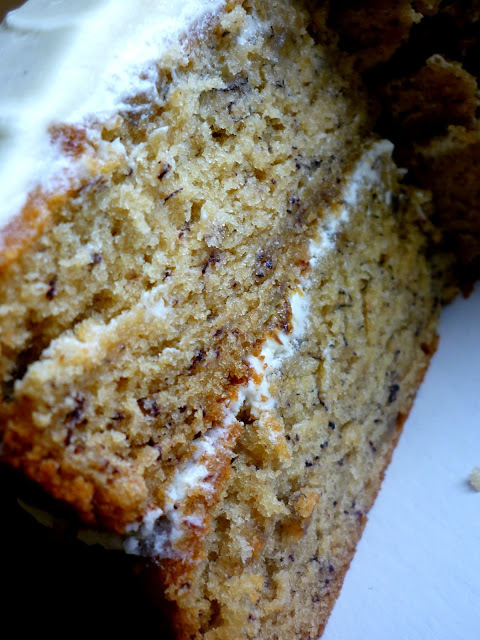 But this cake is light, moist and keeps well for 3 days or so, the perfect tea time treat! 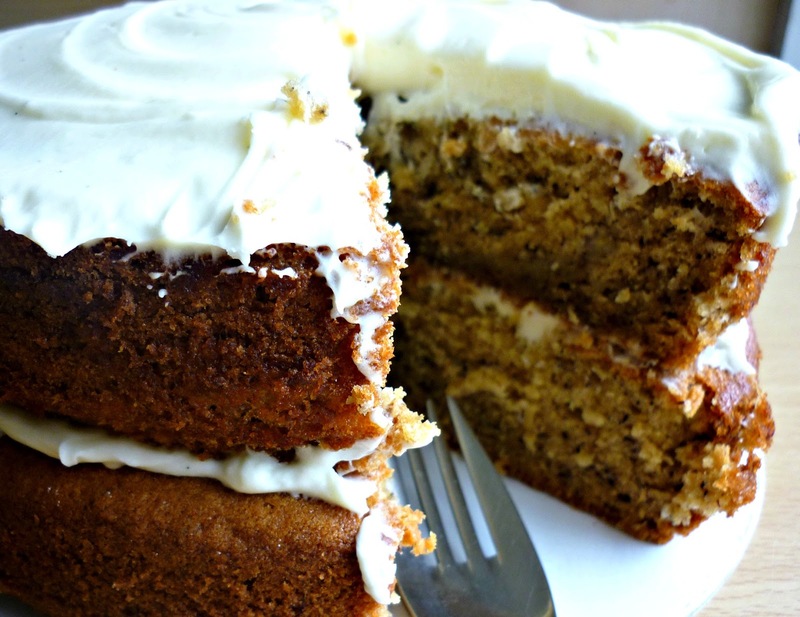 The blacker your bananas, the better and this is the case for this cake recipe too. If your bananas aren't ripe enough then pop them in the freezer overnight and when they come out they will blacken pretty quickly. 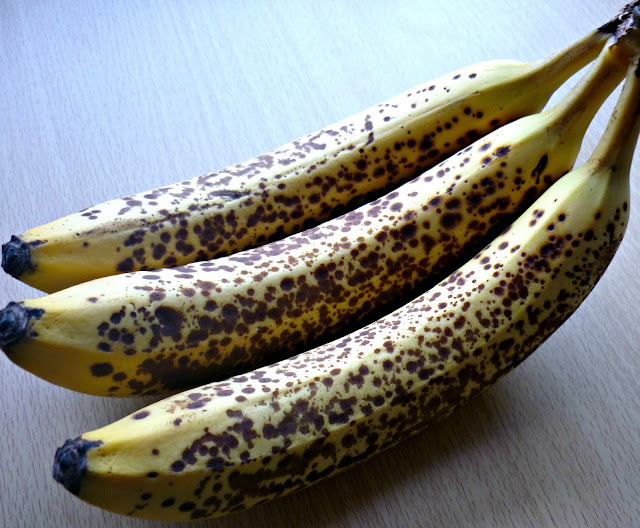 I also freeze my black bananas if I only have 1 or 2 until I have enough for a cake. In my opinion cake is always better covered with frosting and I LOVE cream cheese frosting. People always comment on how tricky it can be to make but I make mine slightly differently so check out my recipe below for my own no fail version. I've made this cake a number of times now and it always comes out great. I normally use my kitchenaid for cakes but as long as you cream your butter and sugar well enough then you can use a bowl and spoon too. 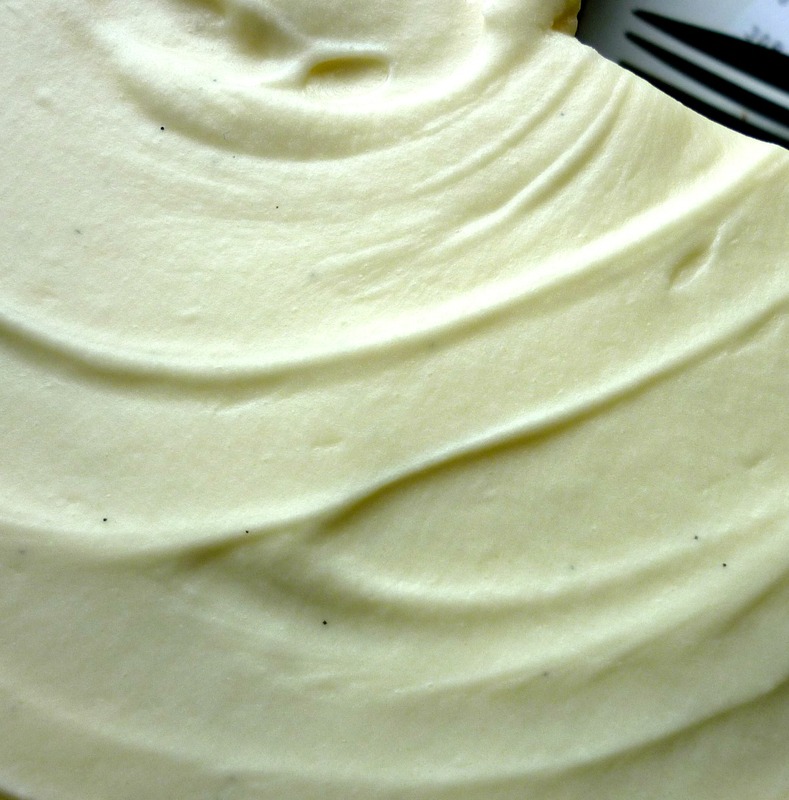 The cream cheese frosting needs to be refrigerated ideally (my EHO recommends this frosting only be kept at room temp for 4hrs max) so you can either keep the cake in a cool place or use a standard buttercream if the cake is being left out for longer. Preheat oven to 275f or 140c. Line 2 x 8" tins with greaseproof paper. In a large bowl, cream butter and sugar until light, fluffy and pale. Beat in the flour mixture alternating with the buttermilk. Pour batter into baking tins and bake in preheated oven for one hour or until toothpick inserted in center comes out clean. 1hr 15mins is normally perfect for my oven. For the frosting, cream the butter until smooth and creamy. Beat in vanilla and lemon juice. Add icing sugar and beat on low speed until combined, your icing might be a bit stiff at this point but the cream cheese will loosen it up. Add the cold cream cheese at the end. Adding it at the end prevents you from overbeating it which can make it runny. Spread on cooled cake and serve. A confusing recipe. First you refer to bicarbonate of soda, then to baking soda. Why replace sifting with whisking for dry ingredients? Just makes a cloudy mess! 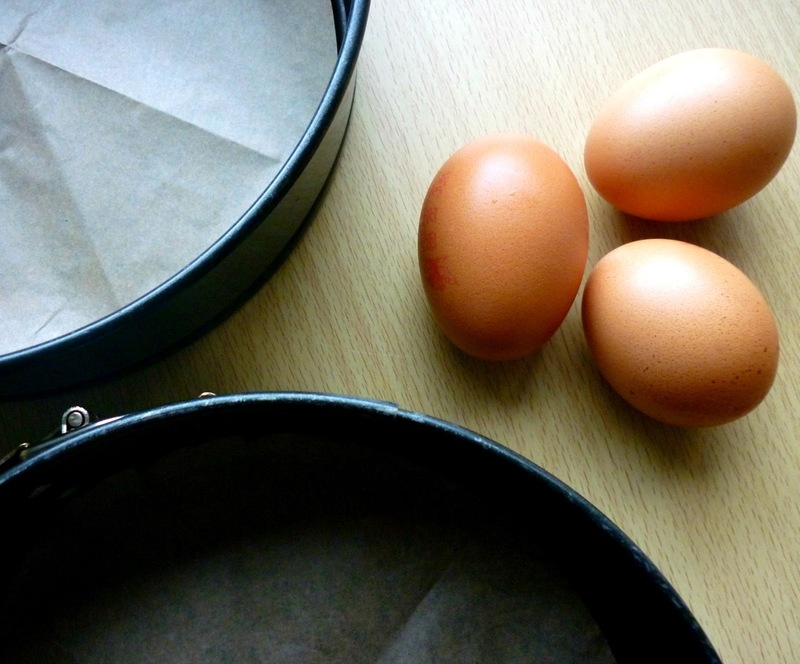 The cake tins become the singular 'Cake tin' in the instructions. Then the jump from cups to grams. Oh dear. I have wasted a morning making this. Could be good, but a recipe has to be accurate. Hi Fross - I'm sorry you found it confusing but bicarbonate of soda and baking soda are the same things so hopefully that shouldn't have messed up your recipe - I use the terms interchangeably being from the States so I'm sorry it confused. The tin(s)was a typing error but it did state to use 2 tins at the top of the recipe so I'll just update this now. 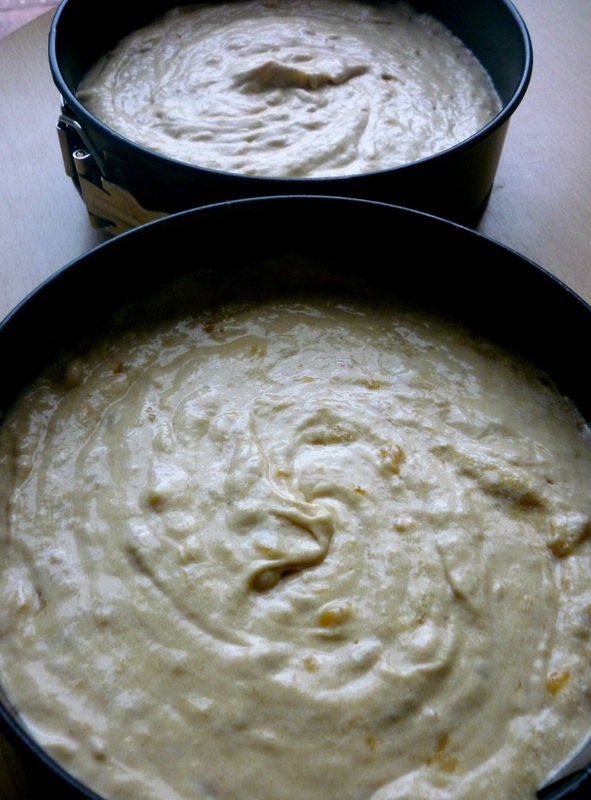 I do mention whisking the dry ingredients saves you having to sift - I use a large bowl for all my cake recipes so it shouldn't make a cloudy mess unless you're using a bowl that's too small or a whisk that's too big.